Wondering how to create the perfectly protected home with your alarm system? 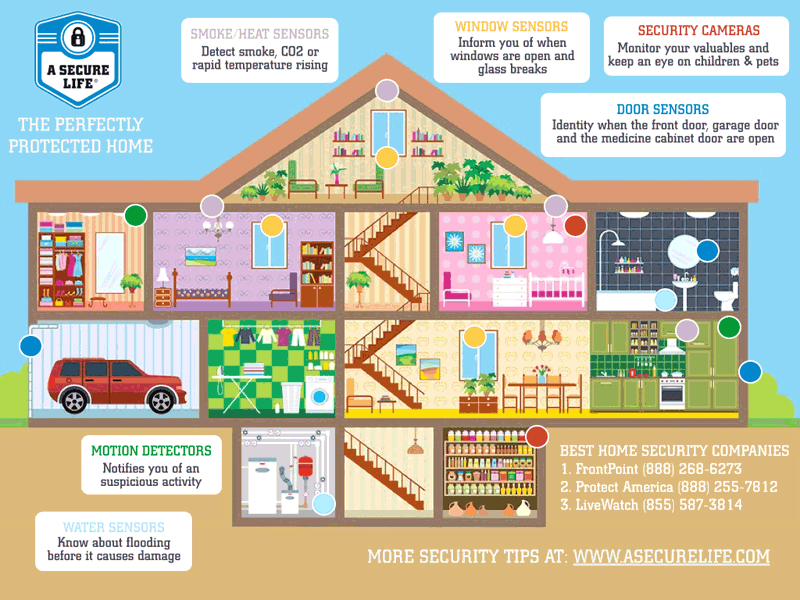 Well, we’ve prepared this helpful Home Security Equipment Infographic to get you started. It provides helpful recommendations in a home as to where to place various sensors, motion detectors and security cameras to keep your home safe from intruders as well as fires and flooding. If this is helpful to you, it may be to someone you know too. Feel free to share it via social media or use the embed code below to place it on your site. Also feel free to visit our top home security system page for specific company information. Thanks and stay safe.